With my dad out of town, it was a girl’s night in. This is a full plate, so I included both recipes. Place the cumin in a small skillet and set over low heat just till the skillet gets hot and the cumin is heated, about 1 minute. Off the heat, add in the lime juice and vegetable oil, plus jalapeno and salt, if you like; whisk to blend. 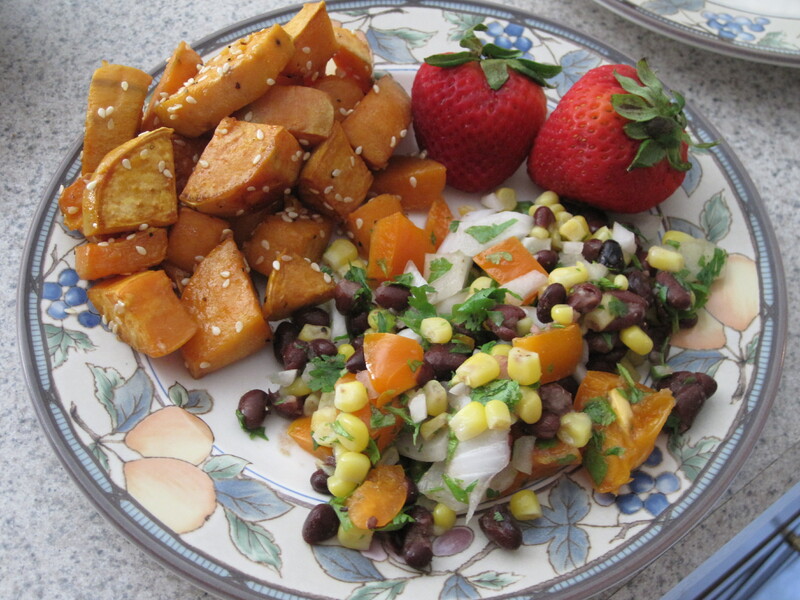 In a large bowl combine the corn, black beans, red and green peppers, onion, cilantro or possibly parsley. Add in the lime dressing and toss to coat. Spoon the salad onto a deep platter or possibly shallow bowl and garnish with sprigs of fresh parsley. 1 Preheat the oven to 400°F (200°C). Cut the potatoes into large chunks and place on a baking sheet. Drizzle with the oil and season with salt and pepper. Roast the potatoes for 30 minutes, turning halfway through, until almost tender. 2 Mix together the sesame seeds, honey, and soy sauce. Pour over the sweet potatoes, and toss. Roast 20 minutes more, or until well glazed and tender. After a long, hot day at the pool, I did not want something heavy for dinner. This dish is extremely light and tasty. 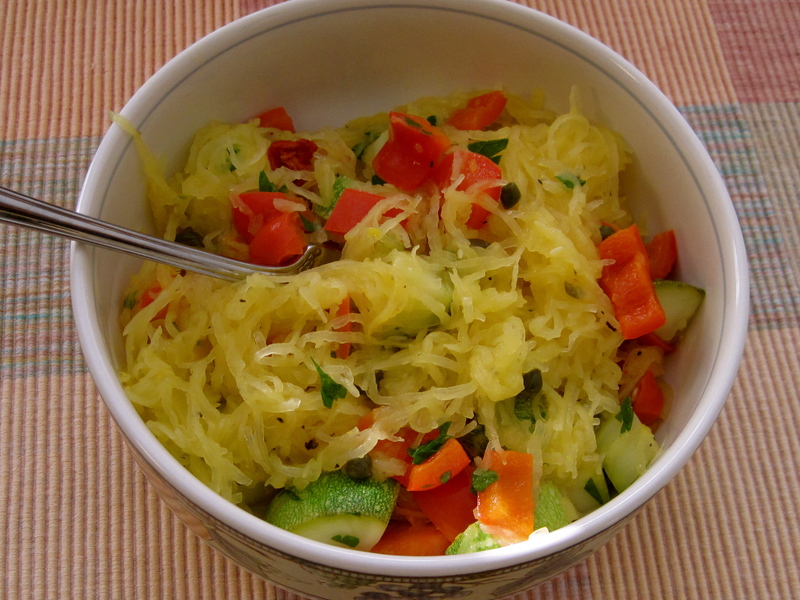 If you’ve never eaten spaghetti squash, you’re in for a treat! It’s delicious. It’s pretty easy to cook, too, once you get the hang out it (I’m still working on that…). I paired this with the Mango-nificent Fruit Salad listed above, and it was the perfect, summer meal. Cut squash in half lengthwise; remove seeds. Place squash cut sides up in a microwave dish with 1/4 cup water. Cover with plastic wrap and cook on high for 10 to 12 minutes, depending on size of squash. Add more cooking time if necessary. Let stand covered, for 5 minutes. With fork “comb” out the strands. If the sides are a darker color (not dark, but a little darker than at the beginning, and they are soft and easy to comb, then it is ready. Honestly, it’s just an experiment and you have to check after ever few minutes or so. Start with the 10-12, then add five according to the squash). In a hot skillet, melt the butter and continue to cook until starts bubbling. 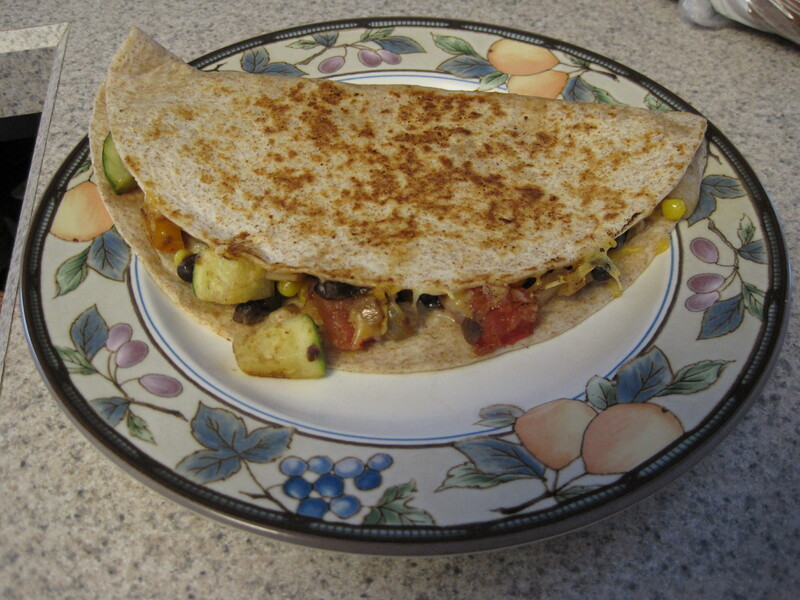 Add the capers, zucchini, and bell pepper and cook, stirring, until tender. Stir in the lemon juice and season with salt and pepper. In a large mixing bowl mix the squash, butter sauce, and sun-dried tomatoes, parsley and serve. Adapted from Red Cat Restaurant in NYC. This salad was my last minute dinner the other night, but it’s really good! You have to watch out – the garlic can be strong. I love garlic, though, and devoured it anyway. 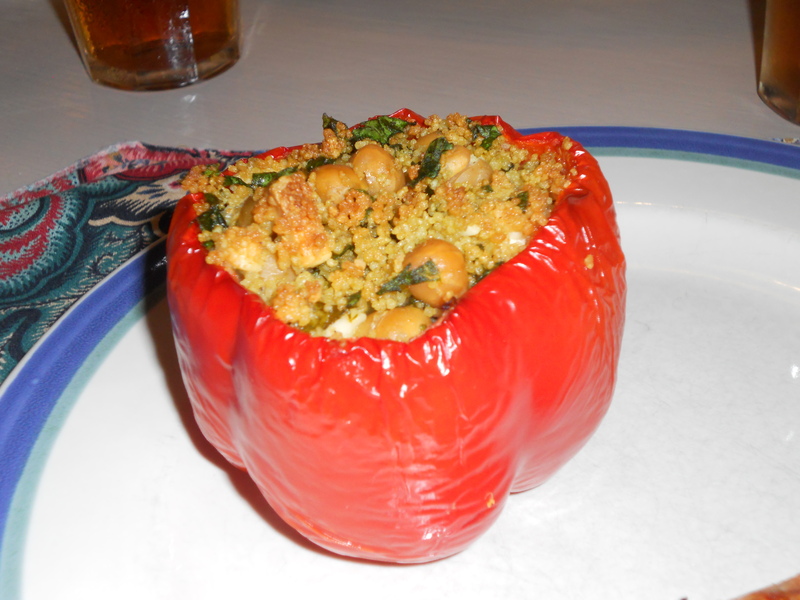 This is both tasty and healthy, this garbanzo beans having a bunch of iron. Yum. 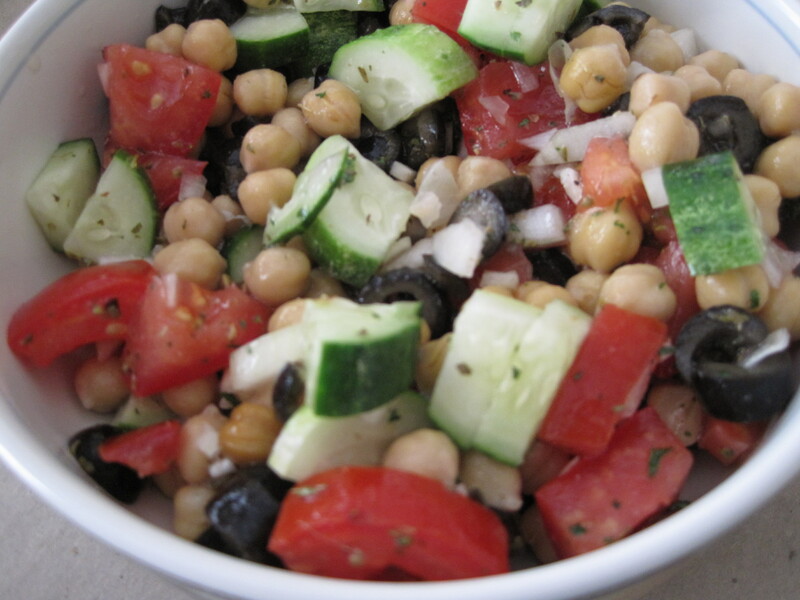 Combine the beans, cucumbers, tomatoes, onion, garlic, olives, salad dressing, and lemon juice. 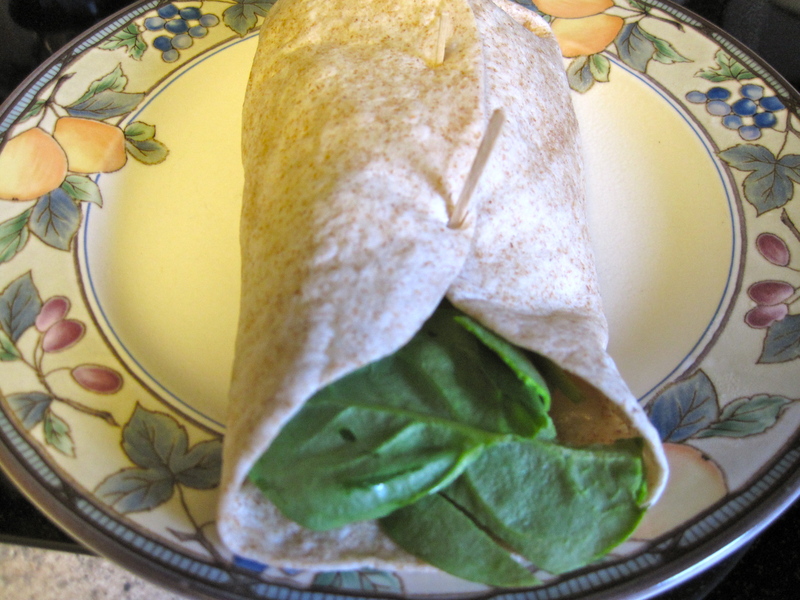 Toss together and refrigerate 2 hours before serving. Serve chilled. This dish I was a little skeptical about. Looking at it, it sounds delicious. Then, I started to roast the corn and after 20 minutes, which the recipe originally called for, some of the kernels were dark brown or black. Gross! So I lowered the time, but honestly, I think your best best is to just watch it. Also, it would probably be perfectly delicious if the corn wasn’t roasted. It’s truly a delicious and light dish. Enjoy! Preheat oven to 450°F. Toss corn and oil to coat and spread out on a large baking sheet. Bake, stirring once, until some kernels begin to brown, about 16-18 minutes. Watch closely! The kernels will turn black or dark brown if you’re not careful, and all ovens are different. Anyway, combine basil, shallot, vinegar, salt and pepper in a medium bowl. Add the corn; toss to coat. Serve warm or cold.